Haikyuu is a very popular anime in Japan, especially with the female crowd who love that passionate homoeroticism that’s a big part of sports manga. Maybe not up there with the sheer hysteria currently surrounding Osomatsu-san, but at this stage probably outshining all other sports titles, even Kuroke no Basuke and Yowamushi Pedal. A series of decent figurines have been released and usually take up at least a couple of the crane machines in every arcade, and the new theme song, ‘Fly High’ by Burnout Syndromes, gets a fair bit of airplay anywhere that plays anime songs. It’s my current slightly guilty pleasure, though I have to say I avoid the ugly art of the original manga, running in Jump so I won’t win any ‘true fan’ contests. I’ve been a sucker for the figurines and conbini lotteries and find the eternally optimistic main character Hinata very sweet. The rest of the fandom largely fixates on the tall, handsome and confident minor characters, but the underdog type is much more appealing to me. In the first season, we had the admirable theme of gimmicks in sports only getting you so far. Kageyama and Hinata developed a surprising and strange volleyball attack, but once they reached competitions with actually talented, solid teams, gimmicks stopped working. So instead of relying on their bizarre talents, they work on the basics until they can perform at a good all-round level – and more critically, they learn that volleyball is a team game and they have to fit in with the rest. Even if there are moments of glory or high individual skill, they have to be cogs in the machine to win matches, and this strikes me as an admirable direction for a show about sports to go. At some point, the players have to grind, cooperate and experience less enjoyable periods to progress. 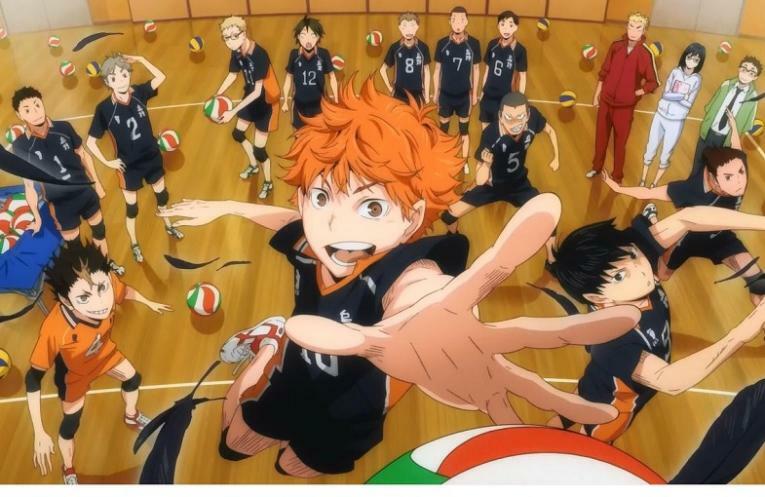 To improve, the Karasuno team head to a training camp with a number of very high-level players. They begin as the worst team by far, but keep pushing to improve and hone individual specialities until they can compete. The series moves on to the qualifying matches for the high school nationals. The keystone of many sports anime, going to the nationals is easy fodder for storytelling – passionate matches, emotional rollercoasters and the chance to introduce any number of quirky opponent characters. Between the training camp and the nationals, Haikyuu s2 introduces a whole slew of interesting new characters as friends and foes, my favourite being the somewhat strigine Bokuto. The worst part of watching Haikyuu is knowing it’s not a long-runner, and as expected, it ended on a high note, but at a point where I was definitely wanting more, and soon. So I hope that’s exactly what I get. Haikyuu is a rarity in that I prefer the anime - this is very seldom the case but I just don't like the art of the manga. Pretty sure Haikyuu's following has always been predominantly female, and certainly I wouldn't expect guys in America to like it. It's the kind of show that's ostensibly for young boys and runs in Jump but is marketed very directly to fujoshi!